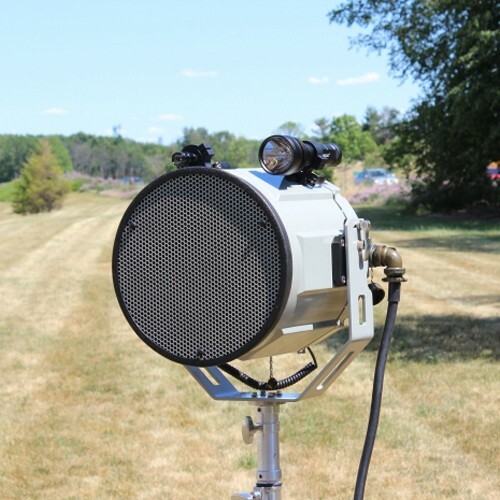 The AA76823 Acoustic Hailing Device, also known as Long Range Acoustic Device LRAD, is a self-contained, lightweight, all weather capable, portable acoustic hailer for communicating long distances and penetrating high background noise environments. With an acoustic footprint up to 1500 meters and a narrow acoustic beam of +/-12°, the AA76823 packs a peak acoustic output of 151 dB to ensure clear and authoritative voice commands are clearly understood. Powerful deterrent tones which enhance military and security personnel’s response capabilities are easily accessible with the built-in high frequency alert tone. This non-lethal deterrent tone can be as loud as 151 dB and is highly irritating. It can be compared to a water cannon, but with sound. 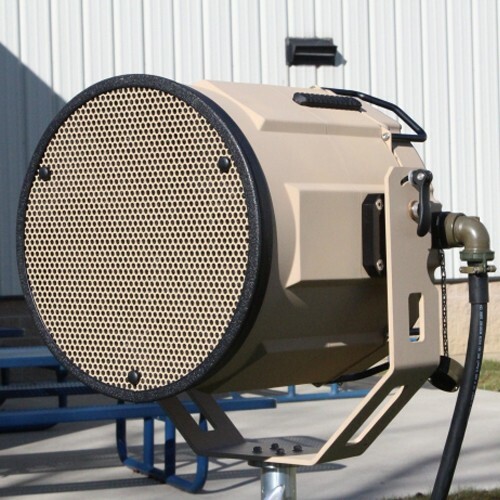 The Acoustic Hailing Device easily penetrates high background noise environments (such as airplanes, helicopters, sirens, vehicles, and boisterous crowds) to ensure unmistakable commands. Piercing alert tones are heard loudly and clearly. 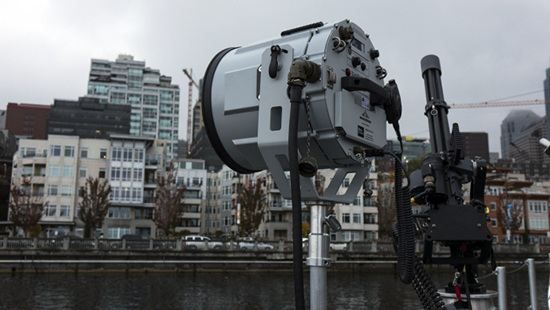 Weighing only 37 pounds, the rugged, lightweight carbon fiber reinforced housing is easily transported and withstands extreme maritime and desert environments. An exceptional STI rating of 0.81 out of 1.0 combined with an extended frequency range ensures authoritative voice commands are clearly delivered to the intended target.